This beautiful trilliant three stone diamond sapphire ring is a perfect example of Bez Ambar's incredible designs and unmatched quality. The three stone engagement ring is the epitome of elegance and its beauty only truly shows when evey aspect of the the ring is perfect from the stone cuts to the perfect finishing polish. 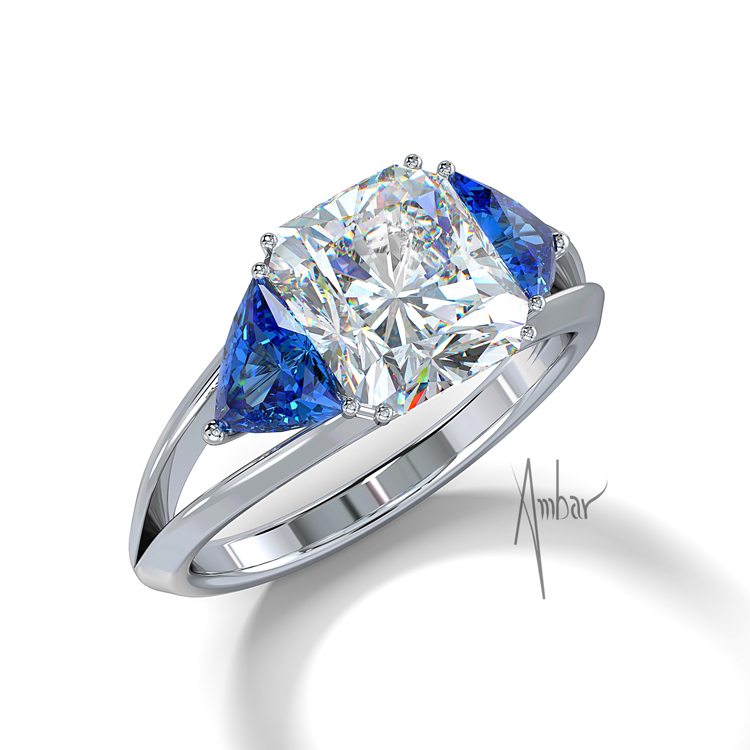 At Bez Ambar every engagement ring is without flaw.